JYJ‘s Jaejoong is almost ready to drop his first solo mini album, which will be called ‘Mine‘, but with eager fans desperately awaiting a taste of what’s to come, he will be unveiling a special treat! The singer will be pre-releasing a track titled “One Kiss” off his upcoming album, on January 8th! The album will also start its pre-sale on January 7th as well as the ticket sales for Jaejoong’s concert ‘Your, My and Mine‘ that will be held on January 26th and 27th. JYJ’s Kim Jae Joong is releasing a preview track before releasing his first solo album. According to C-Jes Entertainment, ahead of the release of Kim Jae Joong’s solo album Mine, One Kiss will be unveiled online on January 8. The agency shared a special production video of Mine’s music video and the music video teaser would be unveiled next week before the full album’s release on January 17. You can pre-order JYJ Jaejoong’s solo album on January 7. A jam-packed super-event which gathered an astounding 6000 plus audience, this is one way to describe the successful Kpop Convention 4. With their mission to raise funds for Gawad Kalinga Community Development Projects & the Philippine Animal Welfare Society, KCON 4 was the first and the biggest Fan -organized Kpop event in the Philippines. Fans of different Korean artists and idol groups gathered to enjoy and celebrate the Kpop Fever in Manila. The said event has gathered more than 50 fans’ clubs and each of them have their own booth where they showcased their love and support for their favorite Korean artists. 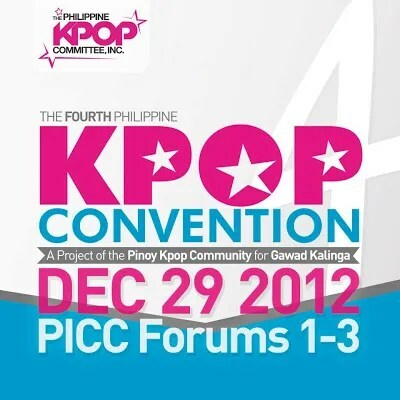 First held last December 2009, then the 2nd Phil Kpop Convention was held in December 11, 2010 at the PICC Forum while The 3rd Phil Kpop Convention was held in December 31, 2012 at the Megatent and the most recent was held on December 29,2012 in PICC Forums 1-3. The said event also highlighted the talents of Filipino Kpoppers through different contests and exciting performances! From JYJ’s emotional, delicate, and beloved vocalist Kim Jaejoong’s first solo mini-album “I”. Co-produced by Kim Jaejoong, recognized as a singer-songwriter who worked on JYJ’s album and songs from his dramas and movies. Kim Jaejoong wants to work on a rock genre album with collaboration from Kim Bada, vocalist of Sinawe and only Kim Jaejoong’s explosive vocals can give justice to the songs. After 10 years since his debut, the lyrics of all the songs directly captured and expressed all the emotions he felt while working as a singer and actor. It is also an honest confession about his life through music. To describe this album, it is simply a “piece of work”. 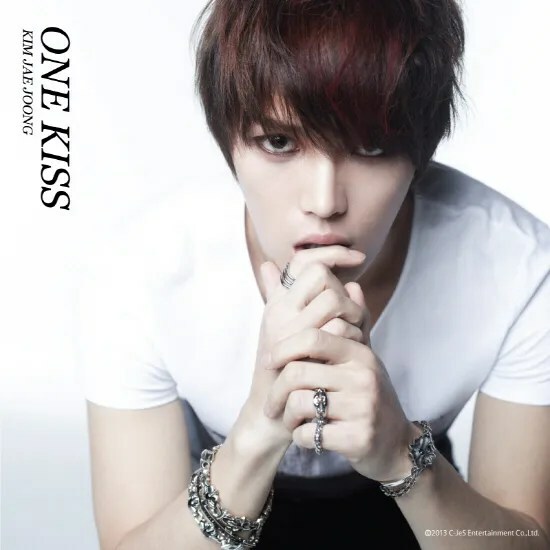 “One Kiss” makes use of a full synthesizer, but the song combined with Kim Jaejoong’s husky treble voice, contains the base of rock elements such as hard playing of the drums and crunchy guitar sounds(T/N it is really a rock term). Despite its intense sound, the lyrics are melancholic and is all about remembering the past, creating a deep impression. “Mine” is the the title track of the mini-album, it’s a song that was arranged by Kim Bada that showcases Kim Jaejoong’s outstanding singing abilities with his explosive vocals and exceptional interpretation of the song. The magnificent and crystal texture of the guitars in the middle of the track makes the listeners feel like one is racing through a tunnel. 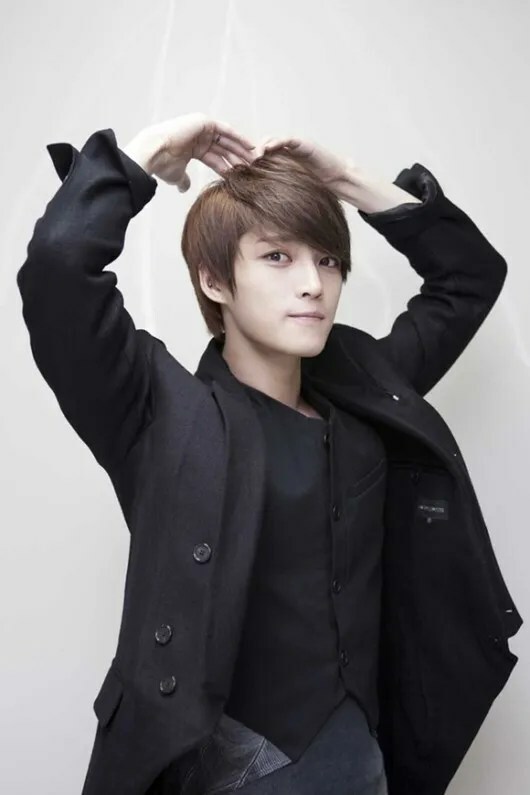 It is a modern rock ballad that starts with Kim Jaejoong’s melodic voice and features his delicate emotions. The gentle melody and the lyrics fits the story about love, friendship, and relationship and about someone who is about to confess his love. Sweet melody sad lyrics containing Kim Jaejoong’s yearning for a lover who has gone away. The gentle melody increasingly changes to a strong melody during the emotional part of the lyrics. In the second half of the song, Kim Jaejoong’s rock vocals is truly impressive. “All Alone”‘s outstanding piano melody evokes a lyrical atmosphere with Kim Jaejoong’s emotional vocals all throughout the song. The lyrics is about pulling a beautiful but sad memory stored at the back of your mind. If you listen with your eyes close, you will see a scene of the saddest but most beautiful memory. T/N: I left the Korean titles as I’m not sure of the English translation for the songs. JYJ‘s Jaejoong has opened preorders for his first solo mini album, ‘Mine‘ today. He also revealed the above poster for his upcoming mini-concert/fanmeeting ‘Your, My, Mine‘. After sharing teaser pictures as well as video for his first mini album “Your, My and Mine“, JYJ‘s Jaejoong recently release a photo teaser for his concert and fan meeting. Jaejoong will drop his first mini rock album January 17th. He will be holding a special mini concert and fanmeeting on January 26th and 27th to celebrate the launch of the album as well as to celebrate his birthday. Are you ready for his first mini album? 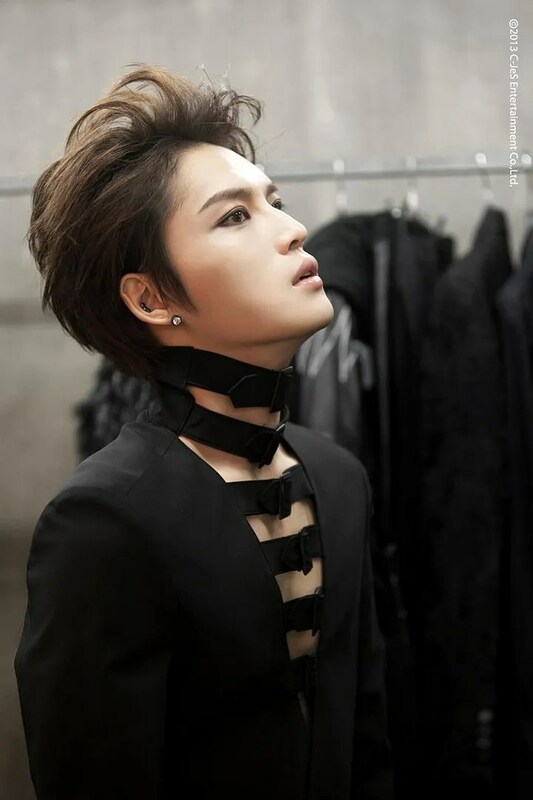 JYJ Kim Jaejoong’s first solo album has garnered attention and has become a hot topic in Japan. Ever since the pre-order sales have started 5 days ago, Kim Jaejoong’s first solo mini-album ‘MINE’ has occupied the no 1 position in the charts of online sites such as Gmarket and Rakuten. The fact that it topped the reservation chart of Rakuten, Japan’s largest internet shopping mall is impressive. 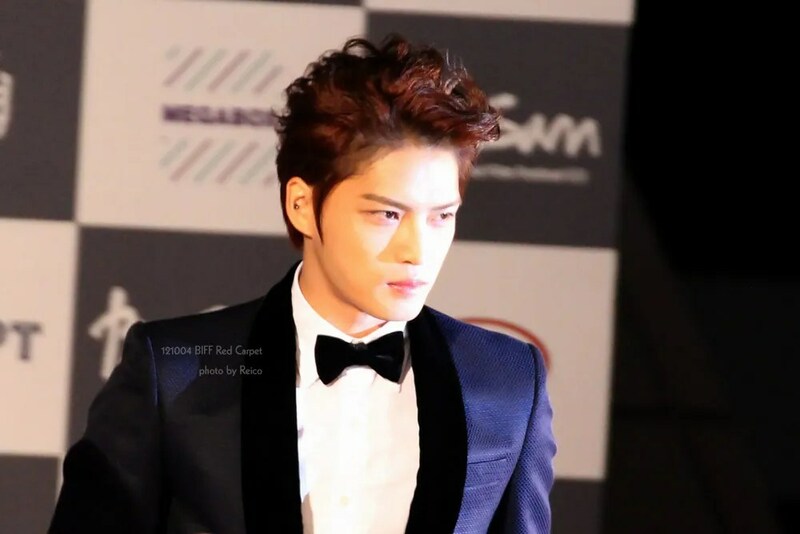 Due to agency problems, Kim Jaejoong does not have any activities in Japan. However, even if there are no promotions or activities, he still has the interest of local fans. The Protect the Boss OST, in which Kim Jaejoong has particpated, became number 1 last year in Gmarket Japan. Drama! Movie! Stage director! Singer-songwriter! Multi-talented Entertainer Kim Jaejoong who is more active than ever. Finally, he will come to you via a special concert for domestic fans. This special concert prepared by Kim Jaejoong will be differentiated from the existing showcases, concerts and fan meetings. It will be a place where you can enjoy your time with Kim Jaejoong as he will share his honest stories which have never been told to anyone so far. Holding this concert on his birthday, he wants to create the only one stage in this world, which conveys his own life as the way it is. This concert ‘Your My and Mine’ is divided into 3 parts, which provides time to create chemistry with the audience. Containing all of his stories, this concert will present to you a fantastic stage of Kim Jaejoong as a singer. With an explosive vocal containing his unique personality, Kim Jaejoong will make you impressed with a hotter stage than any fantasy in your imaginations. This concert that tells his own music and also his life story will come into the world as a work of large dimension. 16,000 tickets to JYJ member Kim Jaejoong’s 2-day first solo concert were sold out as soon as it started selling. Kim Jaejoong will have a concert (Your, My, and Mine) for two days starting on January 26 at Kintex Ilsan. 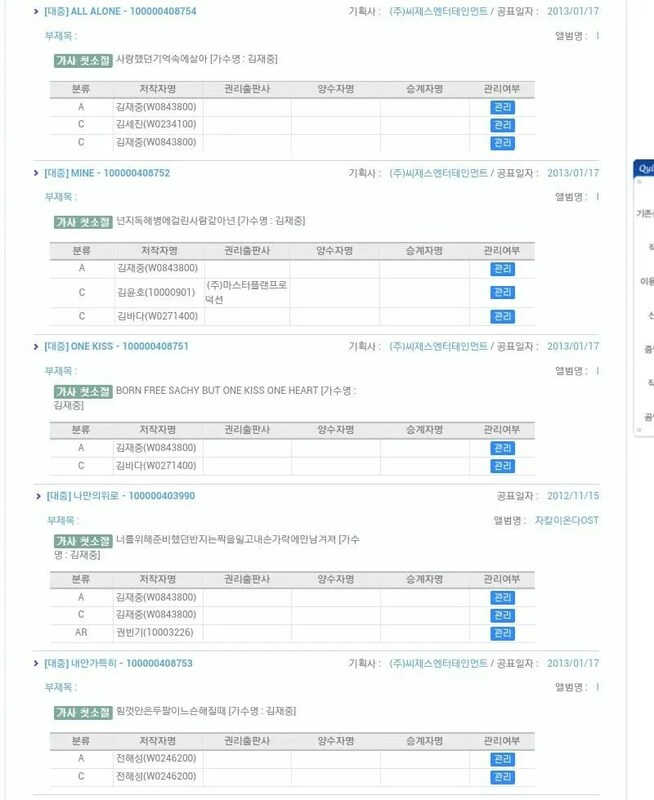 ONE KISS, a song from his solo mini-album, will be released digitally on Jan 8 noon at several online sites such as Melon, Bugs, Mnet, Olleh, and Soribada. 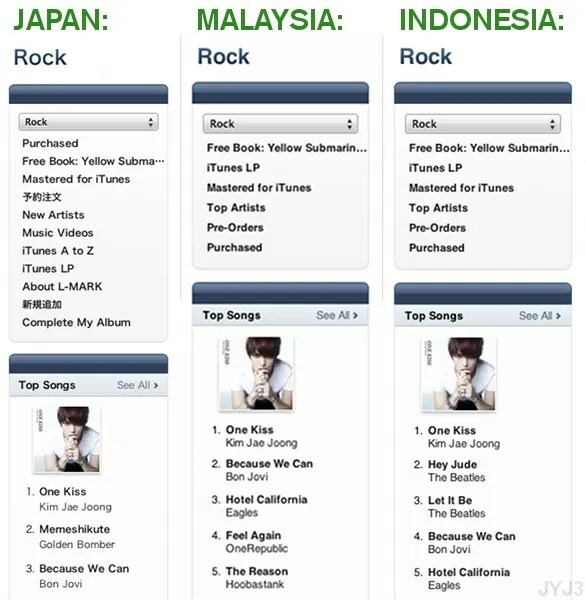 On the day of its release, Kim Jaejoong’s new single “One Kiss” from his upcoming solo album is topping the iTunes chart (rock category) in several countries. 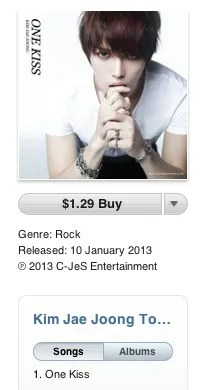 Let’s continue to support Jaejoong by purchasing his single. Click HERE for more info. 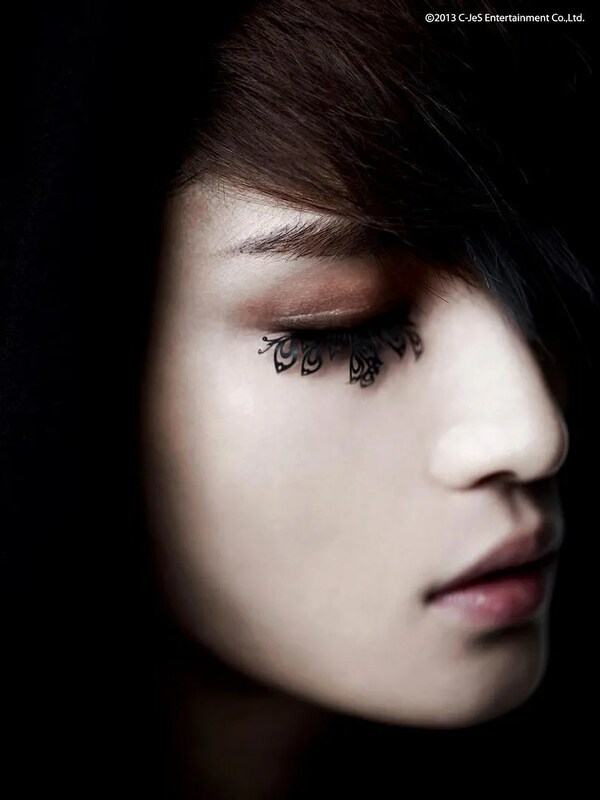 Kim Jaejoong’s 1st solo mini album is scheduled to be released on January 17th, 2013. Click HERE for info on where to pre-order the album. Note: According to iTunes info, the release date of “One Kiss” is January 10th, which may explain why as of now it is only available in certain countries. Kim Jaejoong released a new song ONE KISS through online music sites on the 8th. ONE KISS was released ahead of Kim Jaejoong’s first solo mini-album. ONE KISS is song that contains intense music sounds with sad lyrics and in which Kim Jaejoong’s husky vocals stand out. The lyrics for this mini album were all written by Kim Jaejoong. ONE KISS is about reminiscing and cherishing one’s memories. 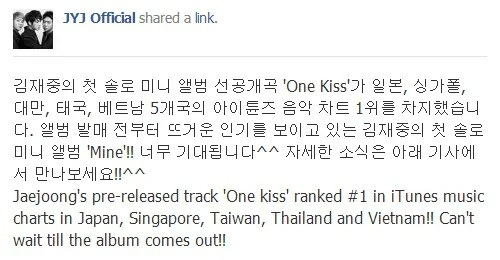 ONE KISS topped real time charts of online music stores as soon as it was released to the public. Less than a day after Kim Jaejoong’s ONE KISS has been released, it became number 1 on the iTunes music charts in 5 countries. On the 8th, Kim Jaejoong has unveiled the track ONE KISS from his mini solo-album. Shortly after its released domestically, it became no. 1 on real-time charts such as Bugs and Cyworld. It also ranked #1 on iTunes music chart in Japan, Singapore, Taiwan, Thailand, and Vietnam. 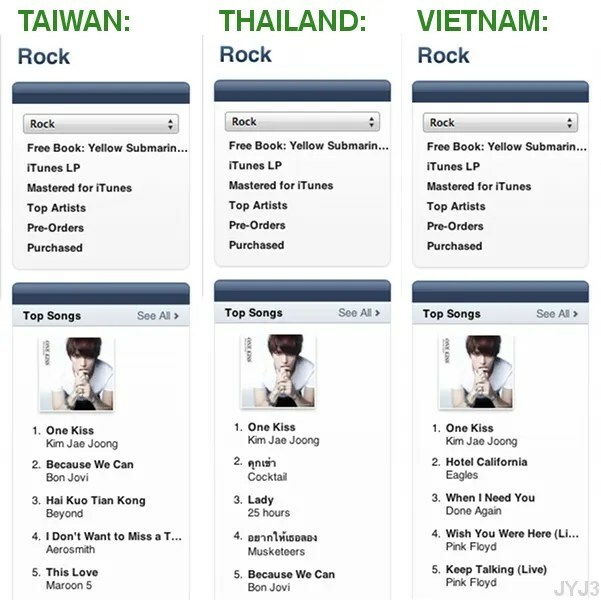 Kim Jaejoong also conquered the rock charts. Aside from the 5 countries, it has topped the iTunes chart rock category in Philippines, Hong Kong, Malaysia, and Indonesia. This has proven Kim Jaejoong’s successful transformation to a rocker. Kim Jaejoong’s first solo mini-album has heightened expectations since it also ranked no 1 on Japanese online music stores such as Tower Records, HMV, and Amazon. Kim Jaejoong’s first solo mini-album MINE will be released on Jan 17. JYJ‘s Jaejoong is on a roll with the release of various teasers that are pumping up fans for the unveil of his solo album, ‘Mine‘. He is expected to tease you all again tomorrow with the most exciting teaser yet, the MV teaser, but before he does so, a few captures from the MV have been released! From the release of these photos, it is apparent that the music video will include some dramatic scenes that are sure to leave you in awe. Having impressed fans with his pre-release, “One Kiss“, which is quickly rising to the top of various music charts in several countries, the anticipation for his full release is growing even more. After recently pre-releasing a new track titled “One Kiss,” Jaejoong teased fans even more with a few stills from the track’s music video. These three images are have already garnered much love and attentions from fans, each boasting over a thousand Facebook “likes” already. Each image has a mysterious aura surrounding it, promising fans an exciting music video for the rock-inspired song. 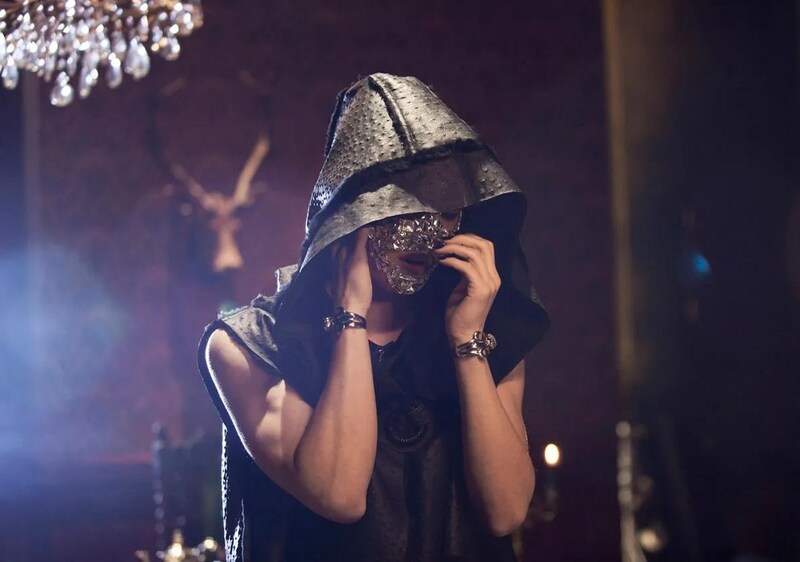 The first image has Jaejoong hidden behind a silver mask. Although fans can’t see his face, his sleeveless outfit shows off his muscular arms. 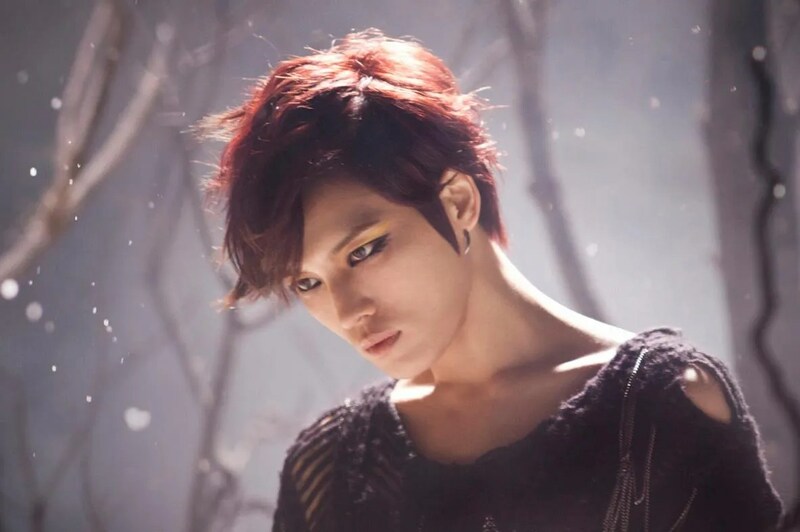 In the next still, Jaejoong’s dramatic eye make-up and red hair are the focuses of the shot. Lastly, the third photo is the most dramatic of all three as he is dressed all in black with an even heavier smoky look. As the final touch, he has a pair of white angel wings on his back, completely contrasting the dark mood of the picture. Are you excited for the music video teaser? 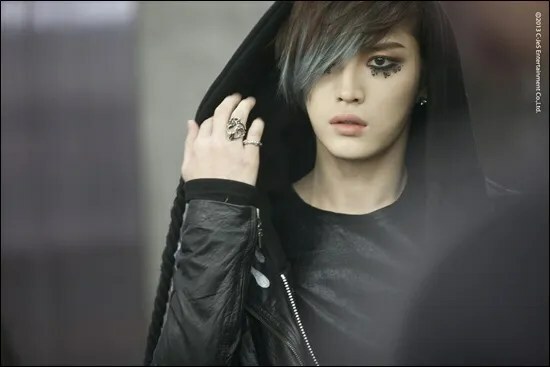 Preparing a drastic change for his first solo album, JYJ’s Kim Jae Joong went to the dark side for his upcoming music video. On January 10, C-Jes Entertainment dropped three photos from the set of Kim Jae Joong’s music video set. 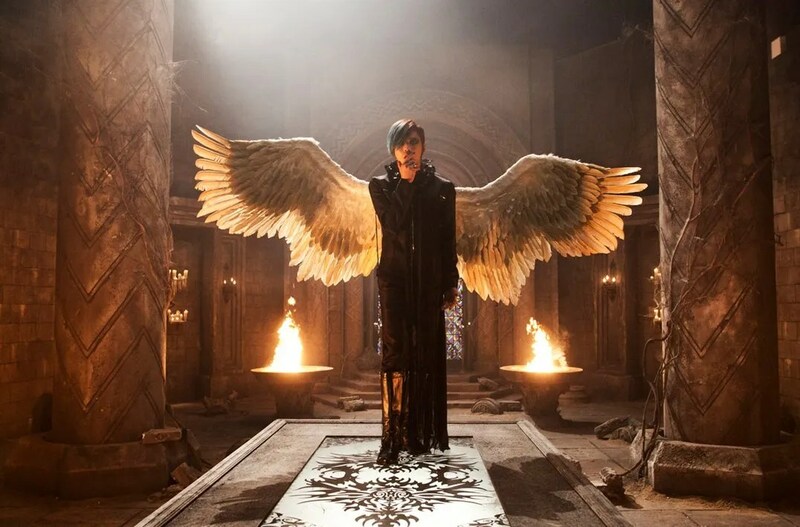 Dressed mysteriously in all black, Kim Jae Joong hid his face behind a jewel-embedded mask and spread his wings in a mystical setting. 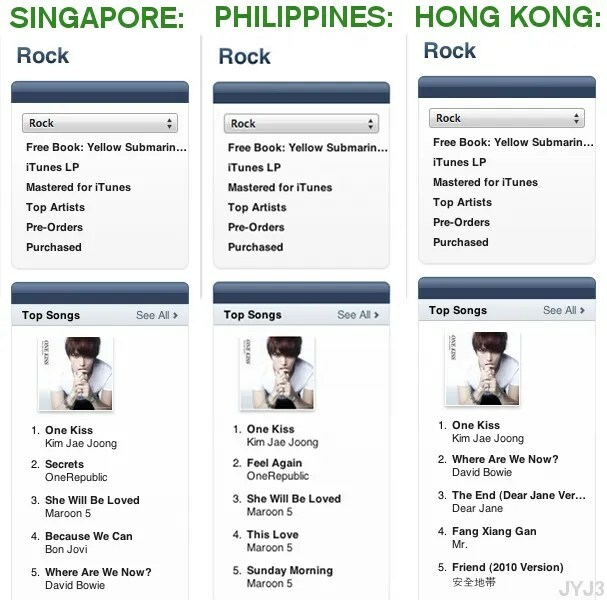 Meanwhile, Kim Jae Joong’s pre-released song One Kiss has been receiving much love from all around the world. Kim Jae-Joong revealed his music video still-cut. 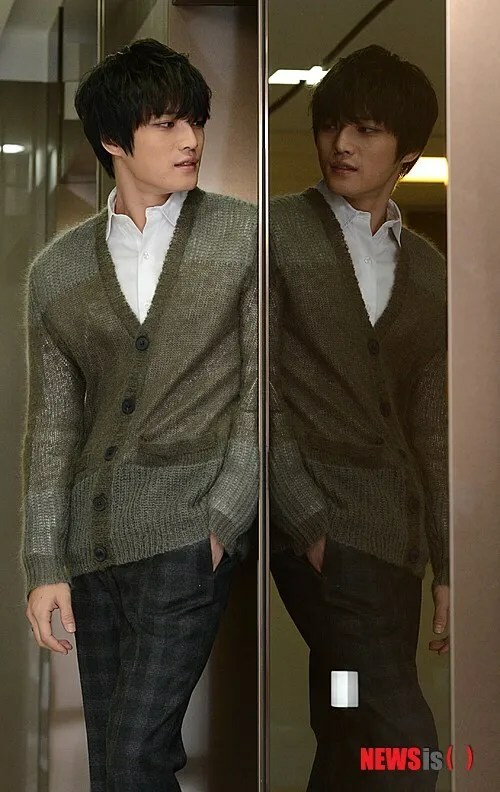 Kim Jae-Joong’s music video will be released in January 11, although beforehand his music video’s still-cut was revealed, igniting the expectations of his solo step-up. According to official JYJ Facebook, the music video still-cut was released in January 10, and it received huge raves from the fans, which hinted Kim Jae-Joong’s solo debut to turn out as a success. 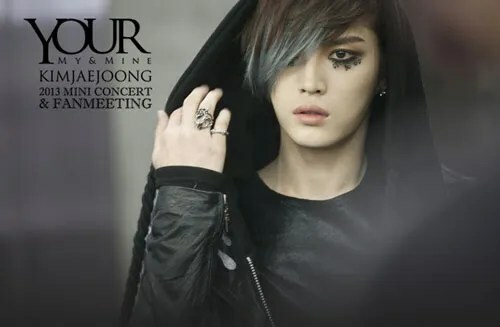 In the picture, Kim Jae-Joong displayed his mystical grotesque image of himself. CjeS Entertainment mentioned that the music video will be released on the 11th, and yet the story is unrevealed, Kim Jae-Joong will express his inner-self in various aspects. Through the still-cut image, Kim Jae-Joong showed his ‘handsome CG’ appearance, and he also raised the expectations for his solo album and the upcoming music video. Meanwhile, Kim Jae-Joong’s pre-open song ‘ONE KISS’ topped #1 in iTunes Rock Chart in nine countries such as Japan, Thailand, Singapore, Taiwan, and etc. 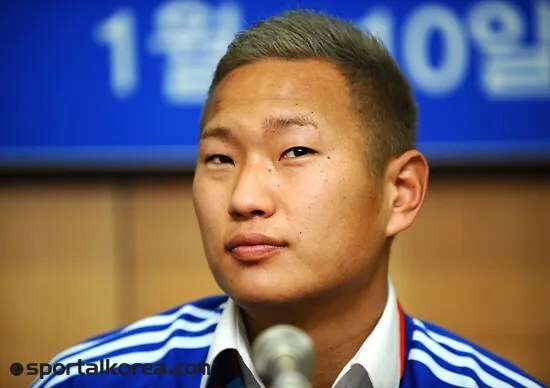 During the press conference on the 10th, when asked what he wants to do aside from football in South Korea, new Suwon Bluewings striker Jong TaeSe (29) has answered he wanted to watch Hallyu Star Kim Jaejoong’s performance. 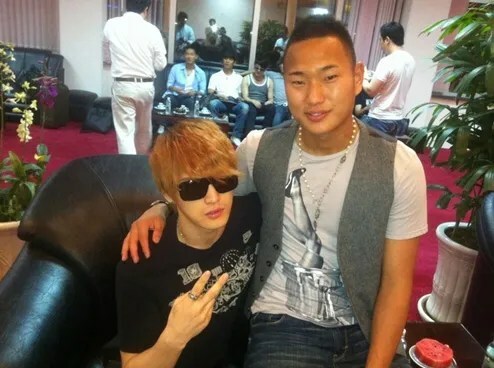 Aside from Kim Jaejoong, he is also acquainted with JYJ members Park Yoochun and Kim Junsu. Jong TaeSe and JYJ’s ties dated back to June 2011. Jong TaeSe participated in the Asian Dream Cup, a football charity match in Ho Chi Minh City, Vietnam. JYJ were also there to hold a concert to celebrate the charity game. Friendship was built after meeting on this event. Kim Jaejoong posted a photo with Jong Taese on his twitter after finishing the charity match saying “Tae Se, let’s meet up again”. Jong TaeSe is looking forward to watching Kim Jaejoong’s performance when he comes to Korea. However, it seems like he will not be able to meet him. He will come back to Korea on Jan 28 after joining the training camp in Guam while Kim Jaejoong’s concert will be on Jan 26-27. Q: We heard that you wrote a song for JYJ’s Kim Jaejoong. What kind of song is it? – Since we are producing Jaejoong’s first solo album, we wanted to change his concept a bit. Jaejoong has already lived as a singer for a long time, so he has a lot of ambition in terms of music. Jaejoong and I were already friends over music, and he asked me for a song, then of course I wrote him one. After that, we kept in contact and I ended up writing another song for him. What I didn’t expect was that I was able to write music happily for Jaejoong and at the same time create the kind of music style that I’ve always wanted. I really liked the work that I was doing so I wrote the music very diligently. The work was musically satisfying and I felt satisfied, and thus the production was very meaningful to me. I was also very glad to see that Jaejoong, who debuted as an idol, holds so much passion for music. And through this collaboration with Jaejoong, I have became more enthusiastic and gained more creativity. So I’ve very thankful to Jaejoong as an individual. Before, Kim Bada said that he really don’t know who is Jaejoong really is ( see in Here) so i guess in this interview, he meant because they share the same passion and ambition to create good music, they can be called friends over music. He may not truly know him personally before this collaboration. On Jan 26-27 in Kim Jaejoong’s concert ‘Your, My and Mine’, he will have a special event in which he will sing one requested song on stage. The event will be held in JYJ official FB page on Jan 12, 7-9 pm KST. Fans are allowed to leave a comment on the FB page on which Korean song they would like Jaejoong to sing on stage. Application is limited to one song per person. Result will be published on JYJ FB page on Jan 14. Meanwhile, The MV teaser of Kim Jaejoong’s title song ‘MINE’ will be released on January 11. 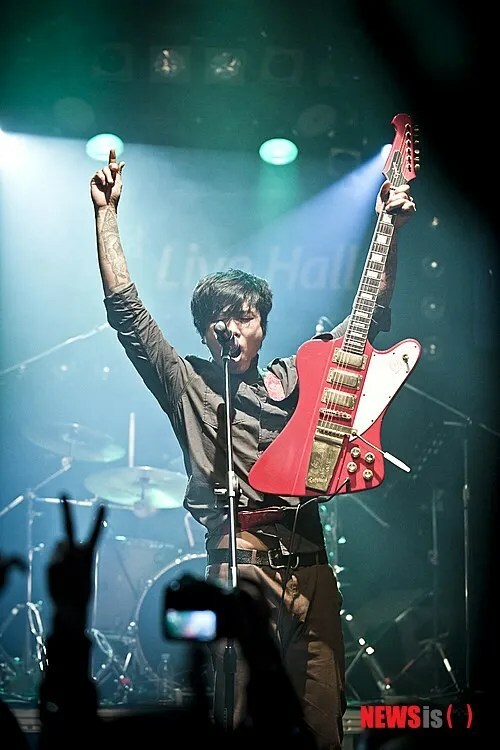 Kim Bada, the main vocal of Rock band ‘Art of Parties’, gave his song to another singer for the firts time. 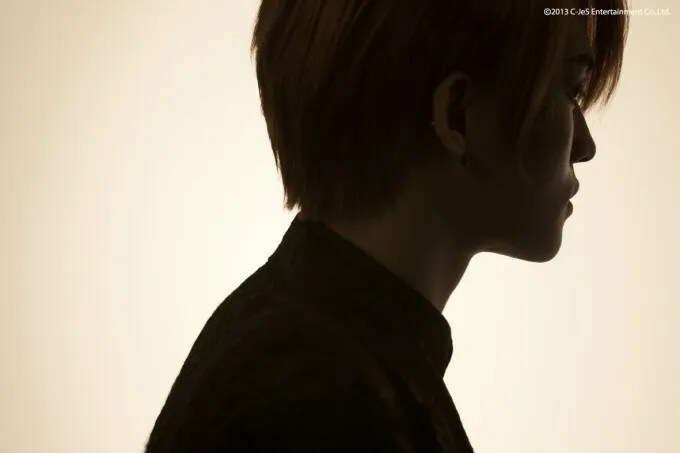 It’s Kim Jaejoong, the member of JYJ, who will make his debut next January as a solo singer, He told about it..
“I think he asked me a song for his change. Actually, I didn´t know who Kim Jaejoong is. But I gave my song becaus he wanted”. “He is the first singer who ask me a song. I give my song to everyone if he or she wants”. 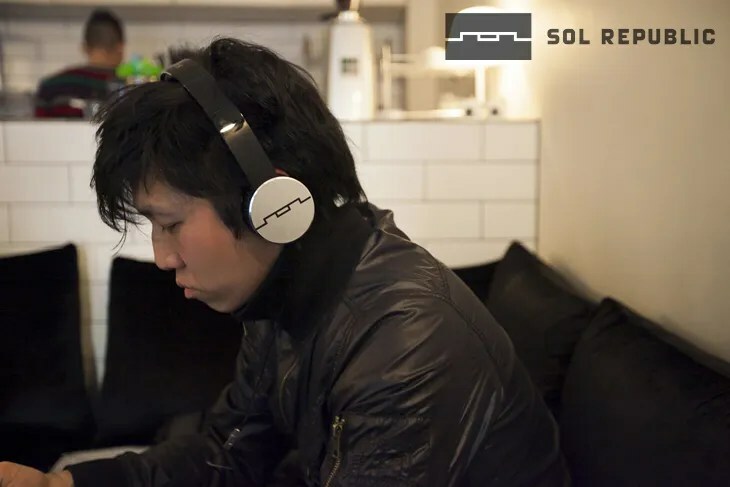 Kim YoonBum, drummer of ‘Arts of Parties’ told about… “He was never expressed about it, but he likes the collaboration”. “He asked me just one but he wanted one more song after recording. I think you can meet ‘New’ Kim Jaejoong who is musically more mature”. I was half a doubt about him because I didn’t know about him. He was much better than expected after we recorded the 1st song. He has the attribute to become a rocker. “Rock Band ‘Pia’ also joined in one or two songs as the accompanist. He really make his effort for his 1st solo album”. “It’ll be different from JYJ’s music. You can feel another attraction of Kim Jaejoong”. Pia is very famous rock band in Korea. Actually they became famous because Seo Taiji acouted them to his own label. Now they belong to another label.. Not seo Taiji’s..
hmm….he doesn’t know about Jaejoong…..but i guess it’s really possible for some people who since beginning not interested to boy/girl band beside i guess even though DB5K is popular but it doesn’t mean everyone in Korea knew about the members name and the most important things is JYJ is being block from music shows since 3 years ago and i guess it’s still continued till now even though the boys already free.